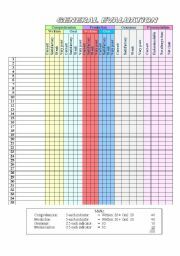 This is a general evaluation grid which gives you the possibility of keeping track of your students´ progresses on all the language abilities. I hope it will be useful for you as it is for me. This activity involves all the class in building a story in which every student has a role and contributes to its development. It’s a very enjoyable activity that stimulates the speaking ability. At the end I put a table to evaluate the students during the activity. 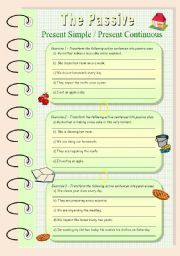 A fully editable worksheet about passive. It can also be printed as a big poster that you can hang in your class. It consists of 3 pages. It covers all the tenses. This is a fully editable worksheet about Future Simple. It can be printed in a very big size to make a poster of it. 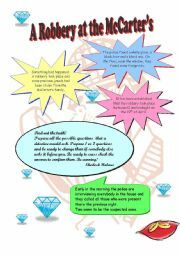 It is a series of 6 worksheets covering all possible ways of talking about future events. I´m sorry I couldn´t put all in one worksheet because of space reasons. I hope it will be useful! 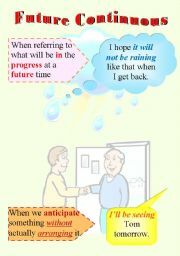 These are exercises about passive used with the present and past tense, in the simple and continuous forms. Tranforming active to passive and passive to active. KEYS INCLUDED. I hope you´ll like it. 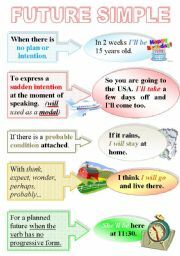 This is a fully editable worksheet about Future Intentions. It can be printed in a very big size to make a poster of it. 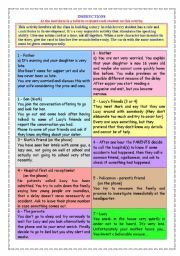 It is a part of a series of 6 worksheets covering all possible ways of talking about future events. This is a fully editable worksheet about Future Continuous – Future perfect Simple and Continuous. It can be printed in a very big size to make a poster of it. These three are part of a series of 6 worksheets covering all possible ways of talking about future events. It consists of 3 pages. I´m happy I could put these three together. 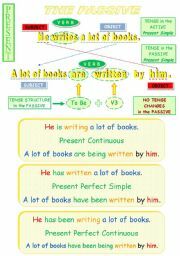 This is a useful summary about the use and the structure of Present Simple and Continuous. 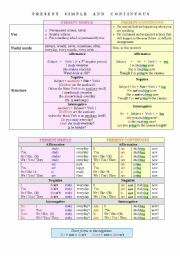 It is useful for beginner as well as for revision with elementary and intermediate students.